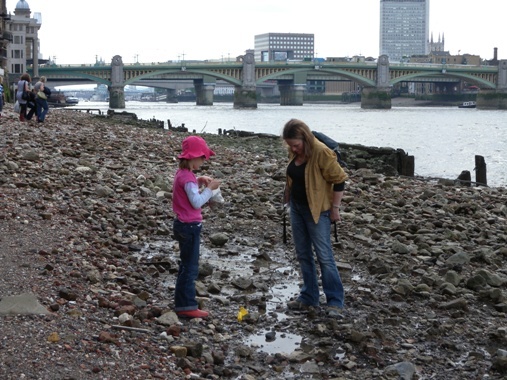 The foreshore at Trig Lane has been previously surveyed on a number of occasions: by the Thames Archaeological Survey and by Museum of London Archaeology (prior to the construction of the Millennium Bridge). 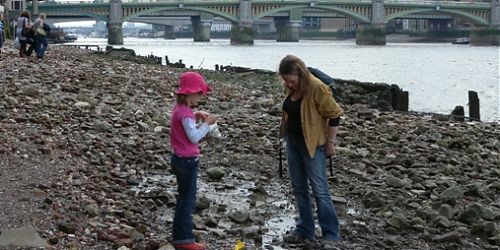 Fieldwork by the TDP/ FROG recorded the base of a probable 17th century river stair and a number of later features such as bargebeds and revetments; large multi-period finds scatters have also been identified. Check out the articles below to learn more about Trig Lane.